I’ve felt vaguely bad in the past for floating an ice cube in my glass of white to chill it, to make it more refreshing. I thought this was An American Thing, one more demonstration of our strange love affair with ice in our drinks. Though I’d never put a cube in any nuanced white–or, heaven forbid, one costing more than ten bucks–I still felt a degree of insecurity over this simple action. 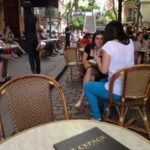 ‘Til the July day I sat on the patio of a café in Montmartre, in Paris. 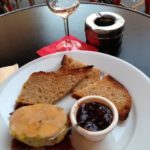 The kind waiter (having helped me through my first ordering in French in a decade) came up for my drink order and when I said, “Un verre du rosé,” he asked, “Glacé?” Momentarily confused, I said, “Oui,” my default in such an exchange. I’ve learned so many things by saying oui instead of non. 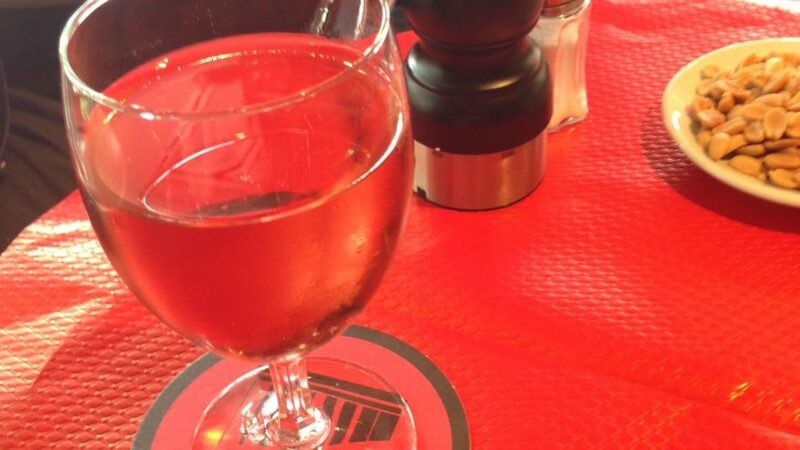 He brought me a glass of rosé, indeed, but avec une surprise…a large square of ice centered within. So practical, all of a sudden, and there I saw it on the menu. In fact, later, in various parts of France, especially the south, it was definitely A French Thing. In summer, it’s cool, refreshing, très pratique! When you cannot chill your wine in time…the cube in your rosé is fine. Now, to determine which rosé would be my favorite? 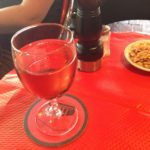 D’Anjou, Sancerre, Provence, Bandol…ah tout les rosés, ce sont manifique! I tasted them all over Paris in search of the answer. I still search…and think of that glass as the winter turns to spring.